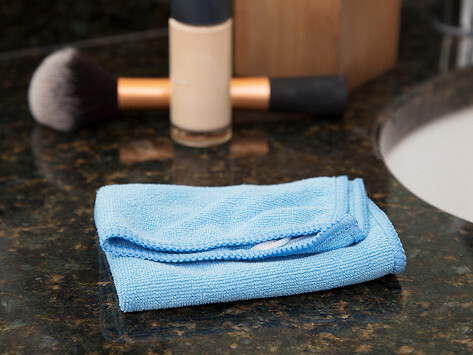 Clean kids' faces with just warm water and this super-soft makeup remover cloth. FaceOff Junior wicks off the dirt, oil, and even face paint. Its fine, microfiber weave is designed to delicately exfoliate without any added substances. Wash it off with soapy water to reuse and start fresh. It leaves skin feeling soft and clean. A nice little face cloth, but much too pricey. Seemed like just another microfiber cloth. Quick ship! Thoroughly wipe off the day’s grime with something portable, super-soft, and gentle on your skin.